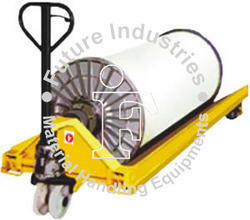 In order to fulfill the diversified demands of the customers with a commendable assortment of Hydraulic Pallet Truck. Developed in accordance with the global quality standards, the body of the range is powder coated to provide higher efficiency. 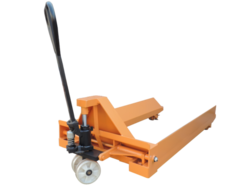 Offered in varied sizes, specifications and dimensions, the range is available in a capacity of 2000 kg. Our range is widely appreciated by the clients for noiseless working, easy operation, robust construction and longer functional life. 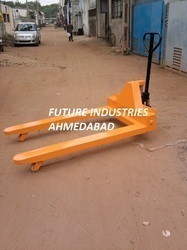 We are leading manufcaturer and exporter of Weighing Scale Pallet Truck. From the day of commencement, we are engaged in bringing forth the clients a commendable assortment of Hydraulic Reel Pallet Truck. Manufactured in accordance with the global quality standards, the range is diversely used in a plethora of industrial operations. Widely used for facilitating smooth and easy movement of the warp beam/rolls, the range is incorporated with high-grade seals & wipers for easy handling. From the day of commencement, we are engaged in bringing forth the clients a commendable assortment of Hydraulic Hand Pallet Truck. Manufactured in accordance with the global quality standards, the range is diversely used in a plethora of industrial operations. Widely used for facilitating smooth and easy movement of the warp beam/rolls, the range is incorporated with high-grade seals & wipers for easy handling. Our range is manufactured using premium quality raw materials and is extensively used in various industries. 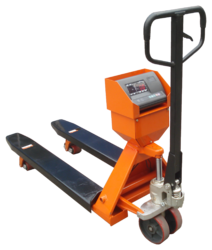 We manufacture a range of hydraulic wrap beam pallet truck that facilitates in the smooth and easy movement of warp beam or rolls. The beam flanges are rested on the trolley while transporting. Equipped with premium quality seals and wipers that are the best in India.